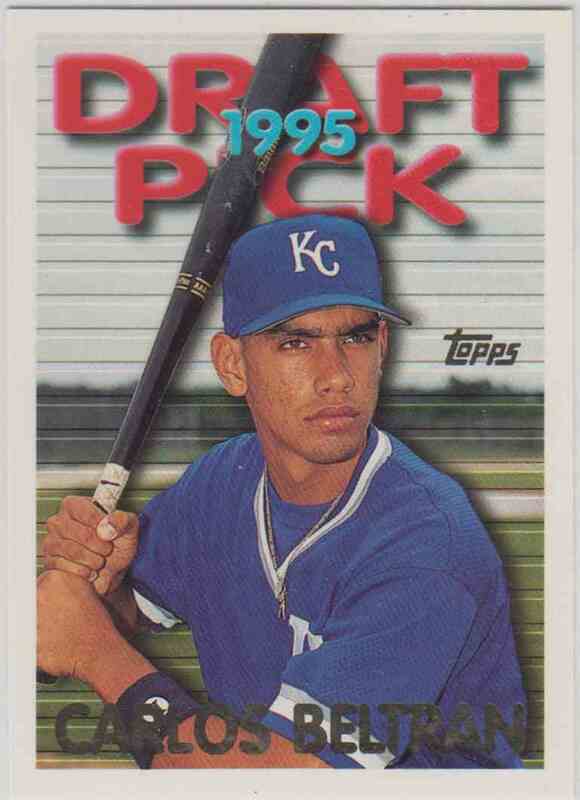 This is a rookie Baseball trading card of Carlos Beltran, Kansas City Royals. 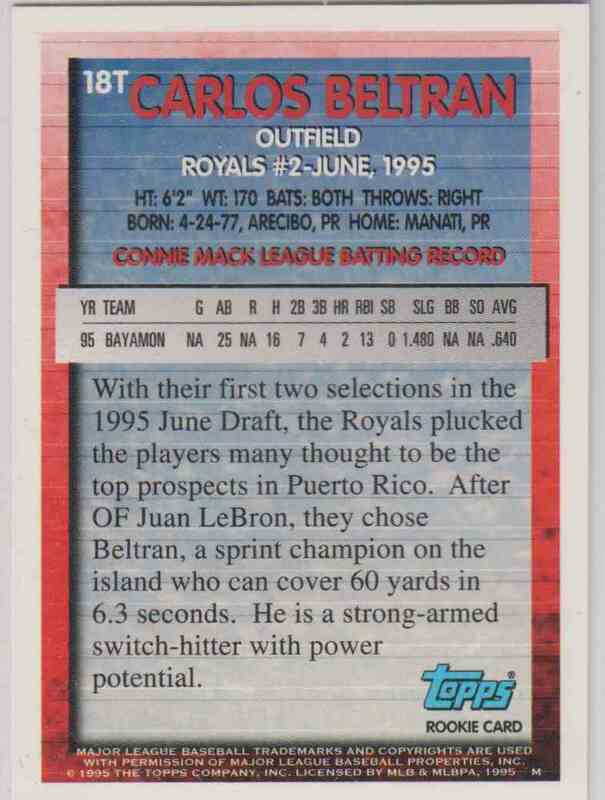 It comes from the 1995 Topps Traded set, card number 18. Error Picture Julian Lebron. It is for sale at a price of $ 10.00.